By buying this product you can collect up to 31 loyalty points. Your cart will total 31 loyalty points that can be converted into a voucher of ₹ 6.20. 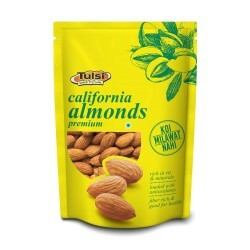 Tulsi Walnut Inshell 10A are the healthiest nuts. These walnuts are full of antioxidants. These include copper, folic acid, phosphorus, manganese and vitamin E. They are soft in chewing and amazing in taste. These Walnuts are relished by children and grownups alike. They are an excellent source of several vitamins and minerals. Walnuts are most often eaten on their own as a snack, they can also be added to salads, pasta, breakfast cereals, soups and baked goods.